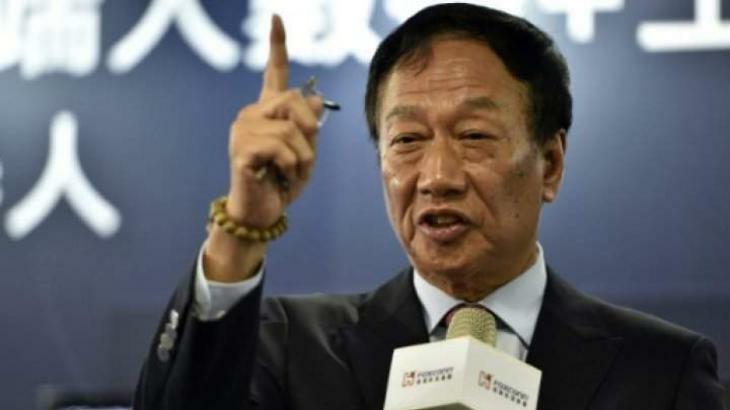 New Taipei City, Taiwan, (UrduPoint / Pakistan Point News - APP - 17th Apr, 2019 ) :Tech giant Foxconn's boss Terry Gou said Wednesday a goddess had told him to run in Taiwan's presidential election. While visiting a temple of the sea goddess Matsu in New Taipei city, Gou said the goddess "told me to step forward ... to help the people." "The 2020 election is very important. Should I step forward or not? Matsu spoke to me in dreams a few days ago and today that ... (I) should look after people who are suffering, give young people hope and maintain cross-strait peace," Gou, head of major Apple supplier Foxconn, told reporters.